Consumer surveys show that the lack of insect damage is the most important factor when deciding which sweet corn to buy. Processors and stores require larval infestations to be < 5-10% of sweet corn ears. To meet those standards, sweet corn growers throughout the U.S. must use insecticides. 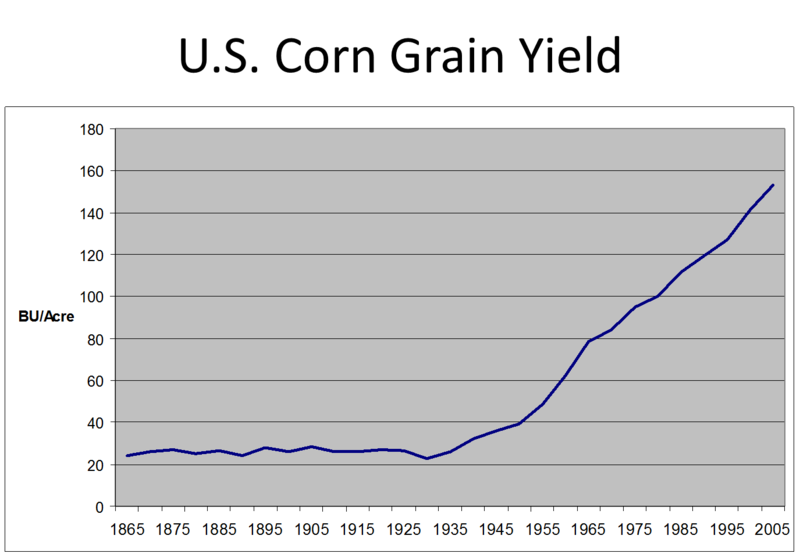 ”Minnesota is the second largest producer of processing sweet corn, Zea mays L., in the United States with an annual production of >53,000 ha; the state also produces ≈4,000 ha for fresh market. 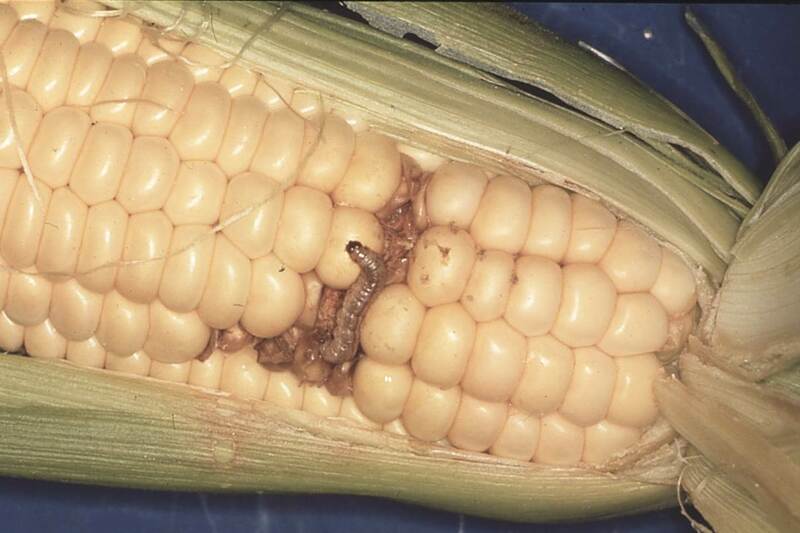 The European corn borer, Ostrinia nubilalis (Hübner), and corn earworm, Helicoverpa zea (Boddie), continue to be the most important insect pests of sweet corn in the upper Midwest. To minimize economic risks associated with insect damage in sweet corn, most growers rely on insecticides to manage these pests. Authors: O’Rourke, P. K., and W. D. Hutchison. Affiliation: Department of Entomology, University of Minnesota. Title: Binomial sequential sampling plans for late instars of European corn borer (Lepidoptera: Crambidae), corn earworm (Lepidoptera: Noctuidae), and damaged kernels in sweet corn ears. Source: J. Econ. Entomol. 2004. 97:1003-1008. Affiliation: Department of Entomology, Penn State University. Title: Regional patterns in corn borer and fall armyworm populations: implications for management. Source: 58th New Jersey Agricultural Convention and Trade Show. 2013 Proceedings. February 5-7. Pgs. 118-119. The Red River Valley in North Dakota and Minnesota is a major sugarbeet production area. About ½ of U.S. sugar comes from sugarbeets. A disease on the leaves damages the plant’s ability to produce extractable sucrose in the roots. Fungicides kill the fungus before the damage is done to the plants. Title: Efficacy of fungicides for controlling Cercospora leaf spot on sugarbeet. 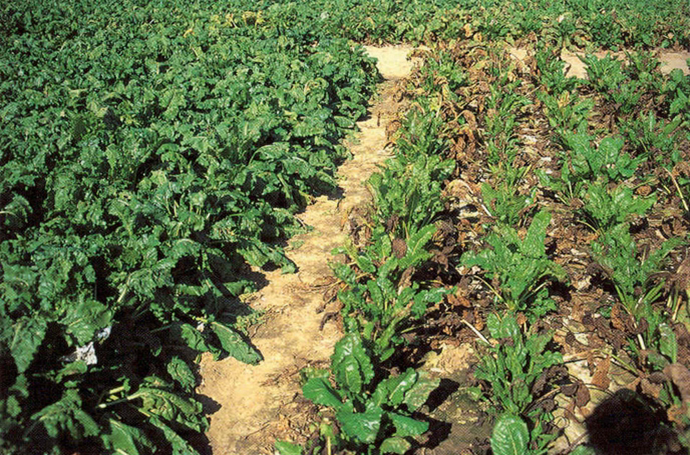 Publication: Sugarbeet Research & Education Board of Minnesota and North Dakota. 2011 Research report available at: http://www.sbreb.org/Research/research.htm. Wild rice originated in Minnesota and the surrounding Great Lakes. It is the only cereal native to North America that has been domesticated from a wild plant. Before commercial production began, wild rice was difficult to obtain. The first commercial field of wild rice was planted in 1950 in Minnesota. After one season, fungal brown spot disease destroyed the second crop. In the next decade, fungal brown spot destroyed much of Minnesota’s wild rice crops – epidemics in 1973 and 1974 resulted in complete crop loss in many paddies. Ever since 1974 Minnesota growers have sprayed fungicides in order to produce commercial wild rice. Title: Wild rice domestication, fungal brown spot disease, and the future of commercial production in Minnesota. Publication: Plant Disease. 1992. December:1193-1198.